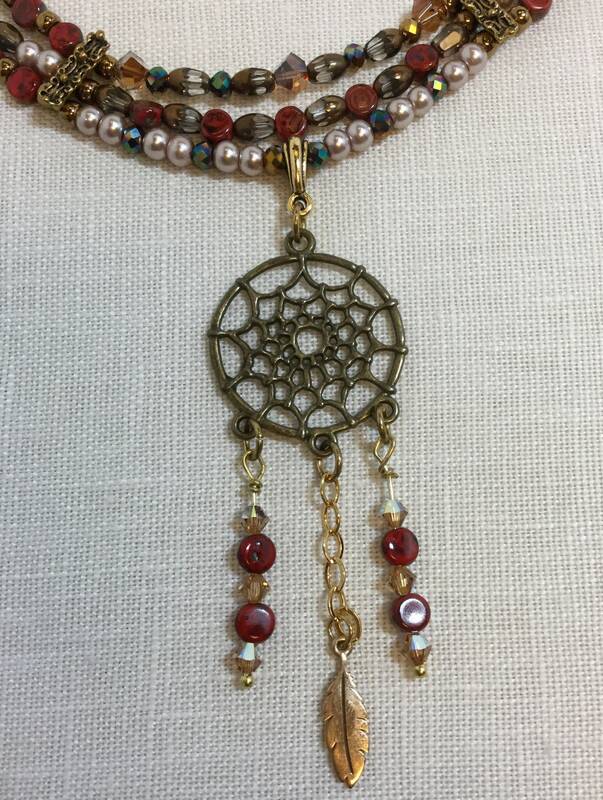 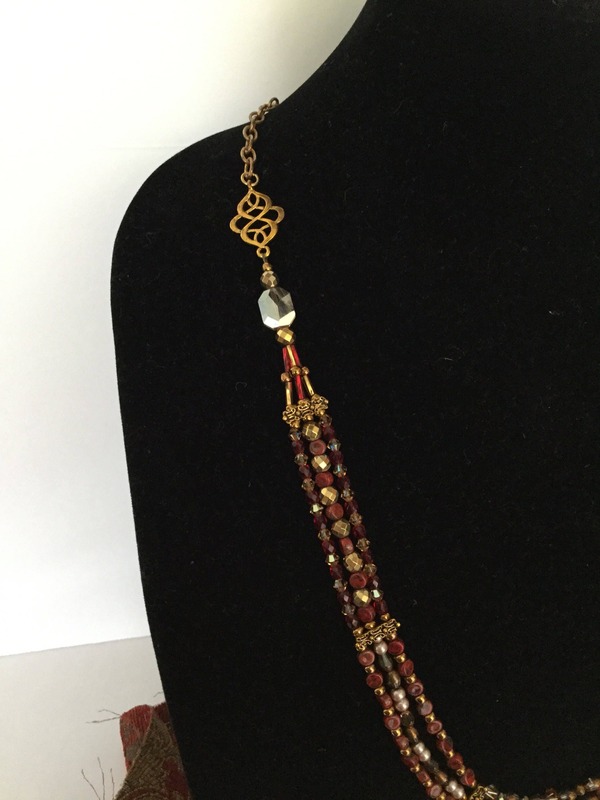 This dream catcher long pendant-length necklace has triple strands of beads composed of several types of Czech and Japanese Toho beads. 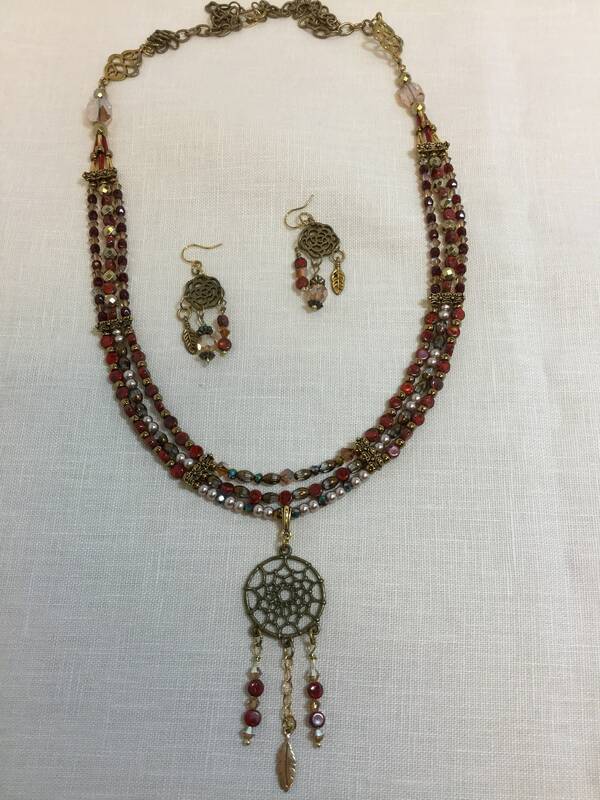 These are accented by vintage costume pearls and Swarovski crystals. 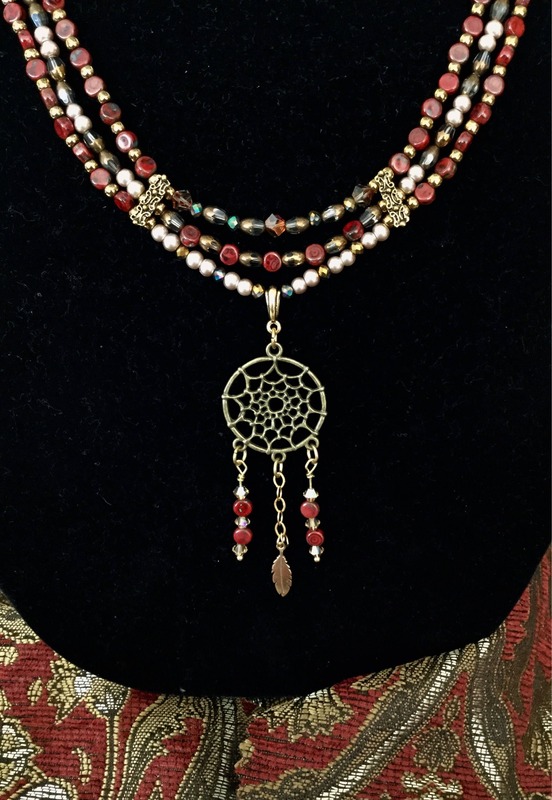 The reds and ambers complement the brass dream catcher web and feather. 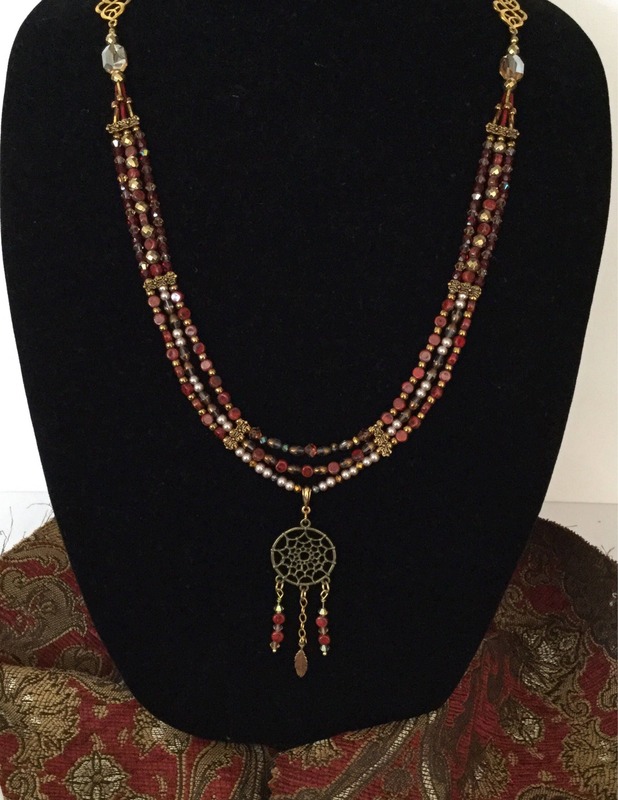 The necklace measures 32 inches and can be shortened with its hook closure. 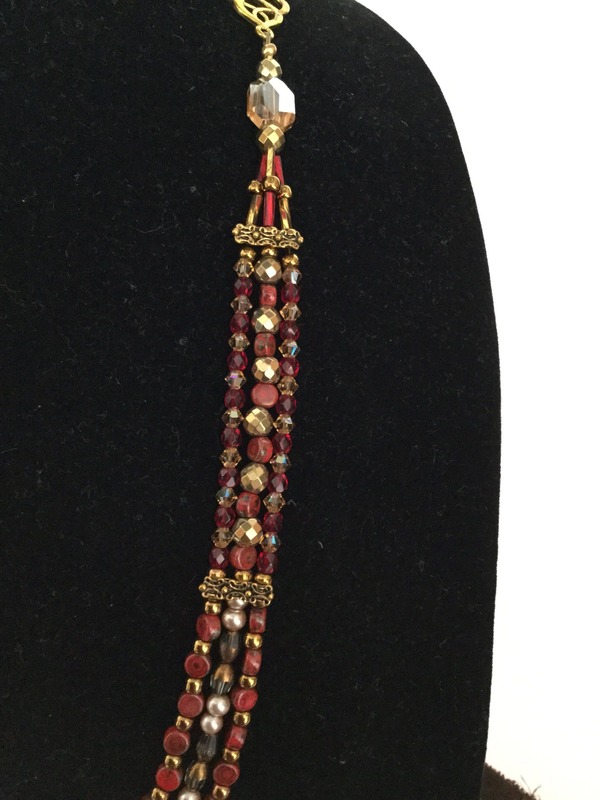 The pendant adds 3 1/2 inches in length and is 1 1/4 inches wide. 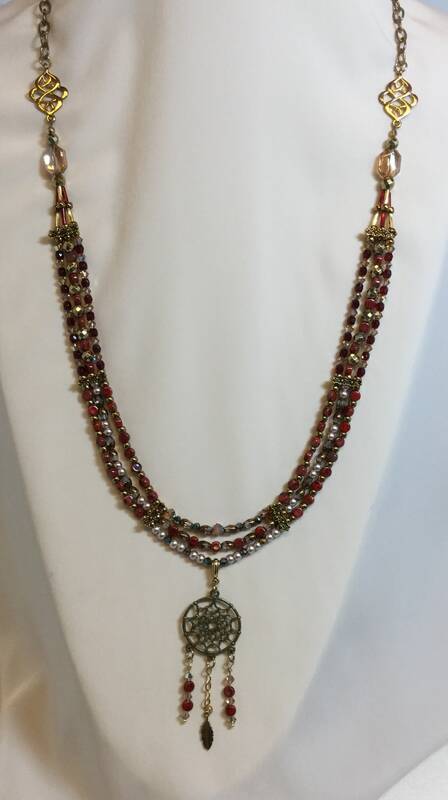 Please note that the necklace hangs lower than it appears on the neck mannequin; I raised it higher to show the pendant better. 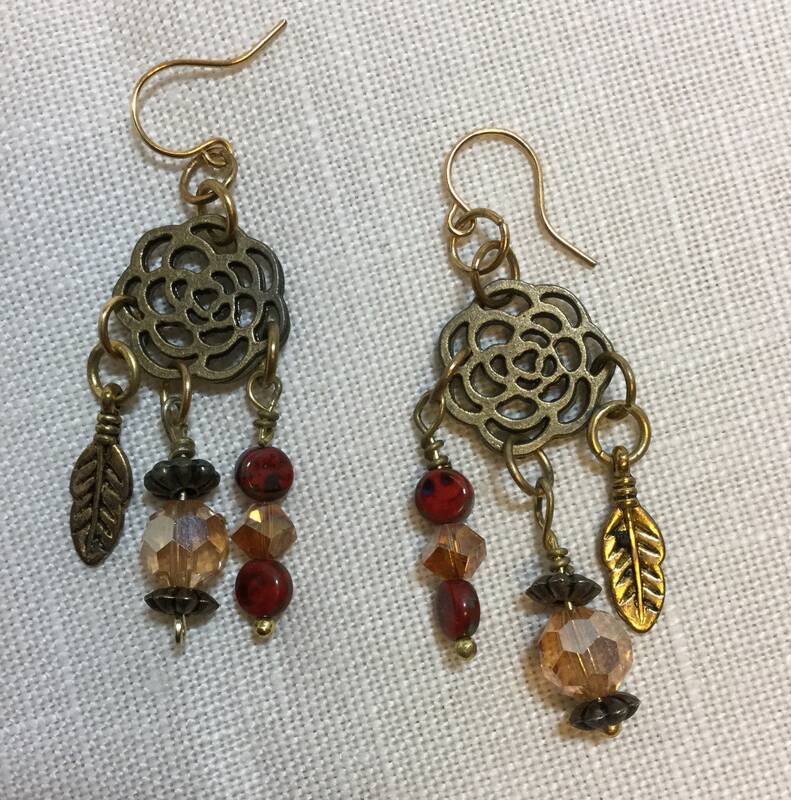 The matching earrings are dangles from a brass webbed circle with gold French hooks.